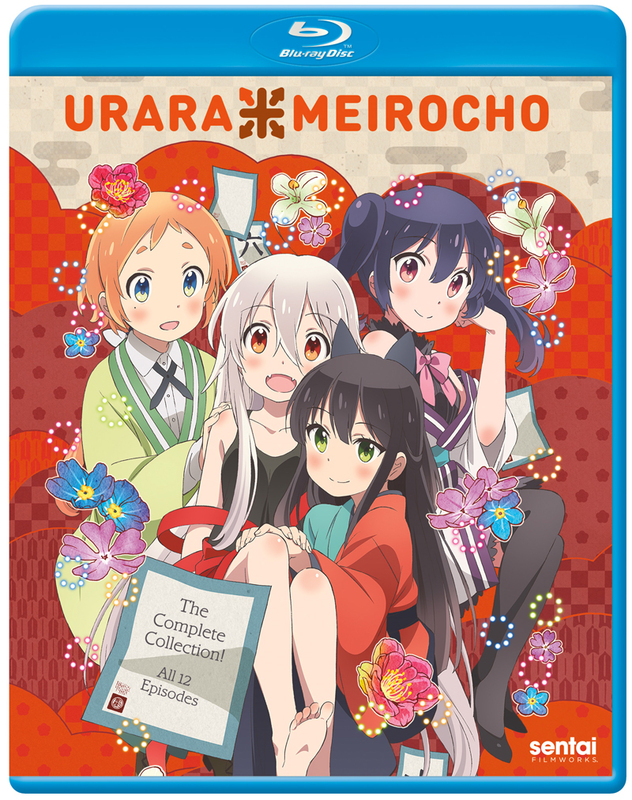 Urara Meirochou the Complete Collection contains episodes 1-12 of the anime. Chiya was raised in the woods and most of her friends were animals. But now she needs to find something, and since it may take the skills of an Urara, or fortune teller, to find it, she's come to the town of Meiro-cho to learn to become an Urara herself. It won't be easy adjusting… and not just because Chiya still tends to check to see if people have tails or want their tummies rubbed! But the other girls studying at the Natsumeya teahouse are all unusual in their own ways, and it's clear from the beginning that Chiya's going to be great friends with studious Kon, rambunctious Koume and shy Nono. And that's good, because if Chiya's going to find her missing mother, she'll need all the help and support she can get!